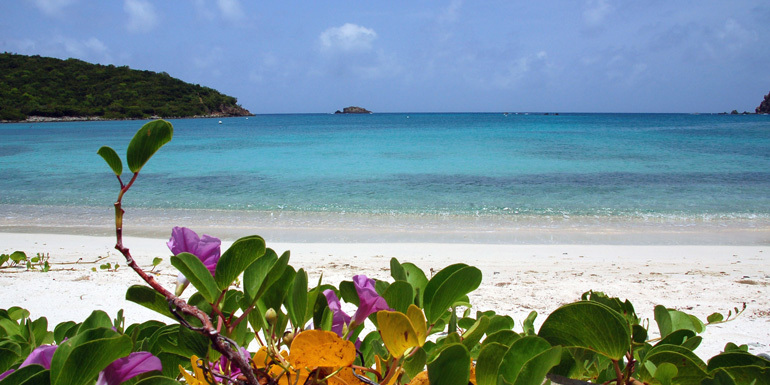 St. Croix, the largest of the three U.S. Virgin Islands, has been the quietest — until now. Each year, even more ships anchor at the Frederiksted port — not just in winter high season, but during the slower summer cruising period, too. With monthly visitors in the tens of thousands, the Caribbean island with a Danish history has flourished in its newfound attention by adding activities and excursions for guests, as well as opening modern restaurants and shops inside the historic pastel-colored buildings in seaside Christiansted town. Look for punch and cocktails made with local Cruzan rum. 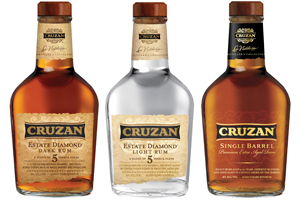 Photo by The Cruzan Rum Distillery. Breakfast: Polly’s at the Pier – This colorful, cash-only café is just steps from the cruise ship waterfront on Frederiksted’s Strand Street. Latte lovers will appreciate the shop’s global coffee selection hailing from Ethiopia to Papua, New Guinea. Grab a chocolate-pineapple or mango crumb muffin to go, or sit in the courtyard savoring a local farm-sourced organic egg and vegetable omelet. Lunch: Café Christine – Locals spend their lunchtime at this intimate Christiansted bistro specializing in simple, tasty French fare. The chalkboard menu changes daily, and reservations are crucial. Go early as specials tend to run out fast, especially the homemade pies. Order the quiche of the day, vichyssoise soup, or Victorian chicken salad outside on the porch. Just remember: The restaurant is closed every weekend and from July through mid-November. Snack: La Reine Chicken Shack – Most ships depart St. Croix by 5 pm, so dinner usually isn’t an option — but don’t leave without stopping at this stand. This is basic Crucian cooking, which you eat on picnic tables scattered around outside. Bring cash, and take plenty of napkins to wipe your fingers after feasting on pancake-like johnnycakes and roasted chicken, all for $5.50. Tip: Ask a taxi driver to take you to the Mt. Pellier Domino Club, hidden inside the rain forest on Mahogany Road. Not only does owner Norma set up the tables in this bar/restaurant with dominoes games, but there’s another source of entertainment: the O’Doul’s-drinking pigs. For $2, you can feed the animals a can of nonalcoholic suds while sipping your own drink: the potent house special “mama wanna,” made with rum, honey, herbs, and secret spices. see the island's historic windmills. For Everyone: Tan Tan Tours – Some people hike to the Anally Bay tide pools on the island’s northwest corner. But a less strenuous alternative is to take a Jeep tour through the forest with Tan Tan. Once you arrive, you can swim, play under a waterfall, and snorkel around the pools. 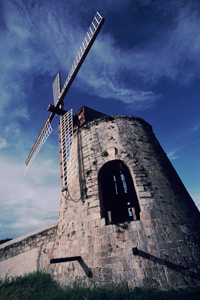 For Couples: The Cruzan Rum Distillery – This distillery offers guided tours, including a look at the factory’s old windmill. Learn how the Caribbean’s famous liquor is produced, and then finish with a complimentary drink, straight or cocktail style. For Families: Buck Island – Part of the National Park Service, these 176 uninhabited acres of land front a tropical fish-filled barrier reef. St. Croix also contains an underwater trail that visitors snorkel and swim through in search of sea turtles. After sunning on the white sand beach, you can explore the 45-minute trail that meanders up to the top of the island for views of the coral reef. The easiest way to get there is to sign up for a ship excursion. For the Adventurous: Gecko’s Island Adventures – Thrill seekers will enjoy an ATV rain forest tour that covers 13 miles of tropical terrain. Beginning at the west-end coastline, the tour heads up into the hills for fantastic views of the north shore and ruins from the 1800s. Going up is pretty easy, but the descent can be a bit hair-raising. You’ll be famished and thirsty afterward — luckily, the expedition ends with lunch at a beach restaurant. St. Croix’s most popular take-home gift is the Crucian hook bracelet. Most people buy it from the original producer, Sonya Ltd. However, if you’re looking for a deviation from the classic, IB Designs in Christiansted offers bracelets with peace signs, hearts, and more. What do you like to do when you call on Frederiksted?